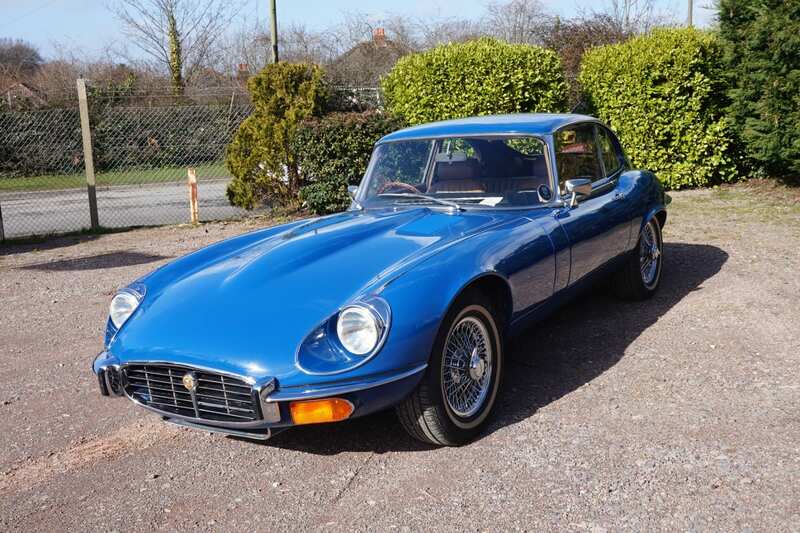 This striking E Type from the last year of production is finished in Azure Blue with Tan leather and has new Chrome wire wheels with white band tyres. Optional head rests fitted. Over the years this very car has appeared in two classic car auctions with the relevant catalogues present in the history file. In 2007 an Irish buyer purchased the car from one of the UK’s foremost E type dealers. The car remained unused in storage until being recommissioned at a cost of almost €6000 and being sold in 2014 to UK private resident. Comes with original handbook, aforementioned auction catalogues and receipts for the recent work carried out. Presented in superb condition this striking car is ready to be enjoyed and treasured by its new owner.